I don’t talk much about TV shows while they’re in progress, usually saving that for some end-of-season wrap-ups. But after the last two episodes of The Flash, I can’t stay silent any longer! The Flash and his allies, the supposed heroes of the show, are keeping a secret, illegal prison in their basement and holding multiple American citizens against their will with no due process at all. This is nothing new. This has been the status quo since early in Season 1, when they captured their first metahuman and didn’t know what else to do with him. They panicked, came up with this prison idea, and have just been rolling with it. That’s bad enough. But now they’ve gone too far. Join me after the jump! SPOILERS for the last few episodes of The Flash. In the first episode back from the winter break, the Flash had to do battle with the Turtle, a super-villain with the power to slow down time. Turtle was using this power to steal priceless artifacts, so basically grand larceny. Get it? The puffy green hoodie? He was also keeping his ex-wife prisoner in a timeless prison, so let’s add kidnapping to his charges. Or maybe she was dead, and it’s murder. And Turtle also tried to kill the Flash’s girlfriend, so let’s add attempted murder as well. The Turtle is not a nice guy, basically. But the Flash is currently trying to fight another speedster named Zoom, and the good guys at STAR Labs want to use the Turtle’s power to slow down time to defeat Zoom. 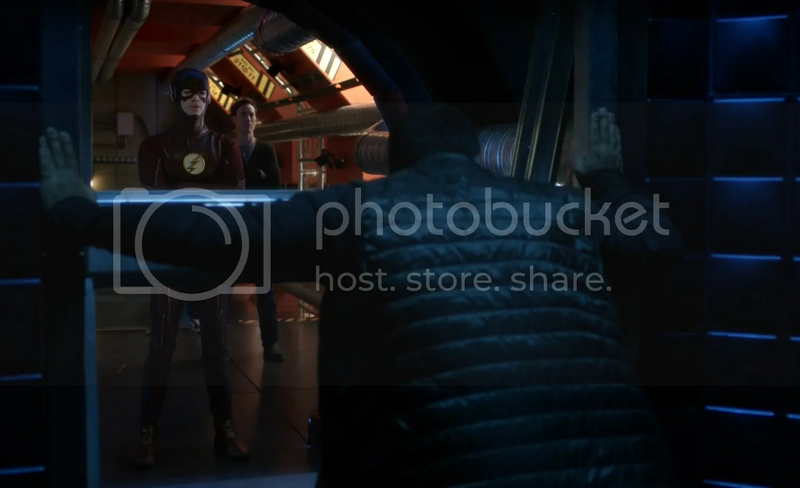 So this isn’t just the Flash stopping a super-powered thief, this is the Flash needing the Turtle and his powers for the Flash’s own interests. Stopping a thief/murderer is just extra. And SPOILER ALERT, they succeed. Flash stops the bad guy and the Turtle is thrown in their secret, illegal prison. At the end of the episode, one of the good guys, Harrison Wells, walks into Turtle’s cell and straight up murders him in order to dissect his brain to figure out the secrets of his powers. So not only is the Flash keeping human beings in a secret, illegal prison, but now his allies are also murdering those captives. And the Turtle isn’t the first metahuman to die in the prison. 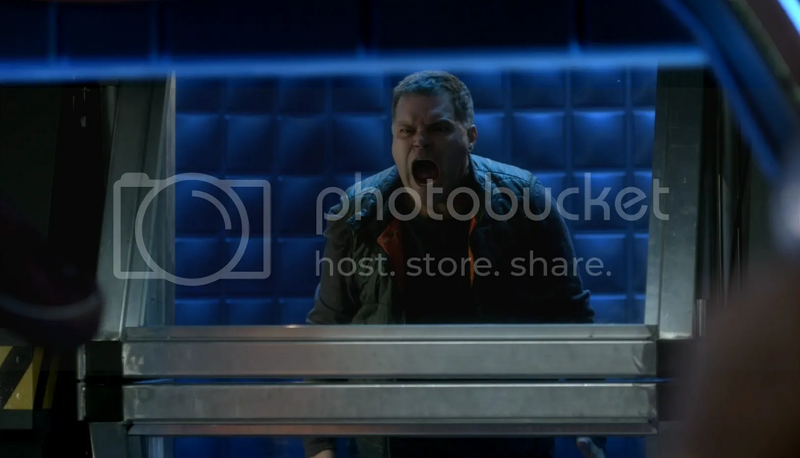 At least one villain, Girder, was killed in Season 1 when the Flash team tried to use him to fight a different villain. But this time, the Turtle was straight up murdered by one of the good guys. No trial. No charges. No due process. Nobody contacts his family. Yes, he was a criminal, but this is America, and criminals do have basic human rights. At the start of last week’s episode, the Flash team discover Turtle’s dead body. Thankfully, somebody does seem to at least go check on the prisoners. Their initial scans (which don’t include an autopsy) indicate a brain aneurysm, but some of them are immediately suspicious at the timing. Heck, one of them is even suspicious of Wells. But in the end, nobody cares. The scene where they inspect Turtle’s body lasts all of three minutes, and it ends with the Flash changing the subject. 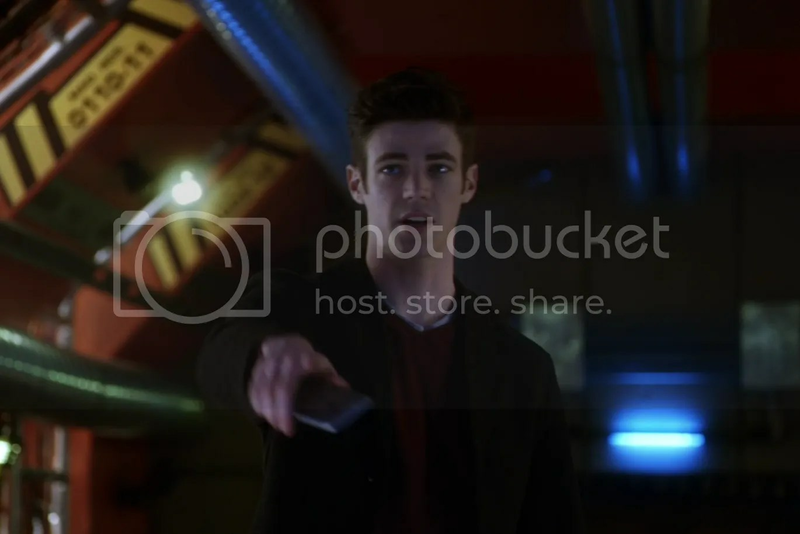 The Turtle is never mentioned again for the rest of the episode, and Harrison Wells continues with his murder research. Nobody cares that the Turtle died. NONE OF THE GOOD GUYS CARE THAT SOMEONE WAS MURDERED IN THEIR SECRET, ILLEGAL PRISON!! NONE OF THEM REALIZE THAT EITHER ONE OF THEM IS THE MURDERER, OR THAT A MURDERER SNUCK INTO THEIR SECRET, ILLEGAL PRISON, KILLED SOMEONE, AND THEN GOT AWAY SCOTT FREE!! This whole secret, illegal prison plotline is bafflingly insane. I get that metahumans are still a new thing in the Arrowverse, but why not come up with a subplot about the authorities making their own legal prison for metahumans? Why not invite the cops to STAR Labs to work together to get all of this above board? For that matter, how is STAR Labs even still in business? The owner was revealed to be a bad guy and killed in Season 1, but Cisco and Caitlin still work there conducting large, expensive experiments on behalf of the Flash. What is up with that? Sorry, that’s a whole different thing. The Flash is good TV, but holy hell have the writers come up with the most evil thing possible for him to have in his basement. Posted on February 1, 2016, in DC, Television and tagged Arrow-Verse, The CW, The CWverse, The Flash. Bookmark the permalink. 4 Comments. You’d be a great supervillain lawyer! The whole pipeline and where-Star-Labs-gets-its-money thing is really one of the biggest plot holes of the show. Sometimes the CW lets certain violations of human rights slide for the sake of the plot (as seen in Legends of Tomorrow, where Stein knocks Jax unconscious and sends him away in a time machine). Still good TV though! As Batman says, sometimes they have to become criminals to fight crime! I don’t have issues with keeping evil metahumans prisoner in the basement, though i agree, having a state run facility makes a lot more sense. The only thing that really bothers me is the whole caring of them. I mean, sure they are evil metahumans, but as far as i can tell, they are being put in a cage, with no toilet, no bed, no tv, no books. It’s like solitary confinement at its worst, cause those poor fools don’t even look like they get fed. What, sisco heads down there 3 times a day, opens up all the cages to hand those metas their food? And even if they are being fed, showered, etc regularly, they’ll still die of boredom from having absolutely to distractions in those cells. No tv or whatever. As for your Turtle comment, you hafta remember, yes there are some vague suspicions, but it’s not like there is concrete evidence that Turtle was murdered. So i can understand them shelving it for a greater crisis. However, they def should be bothered that a guy died under their watch. I wouldn’t say he was murdered by one of the good guys though. Harrison Wells has never been one of those, for various reasons. I hope they have a jailbreak episode soon, where every single person in that basement escapes, so that team Flash (god that sounds stupid to say, the Flash should be a loner, but i get the need for a show to have more people) realizes it’s been a dumb idea keeping them locked up at star labs. 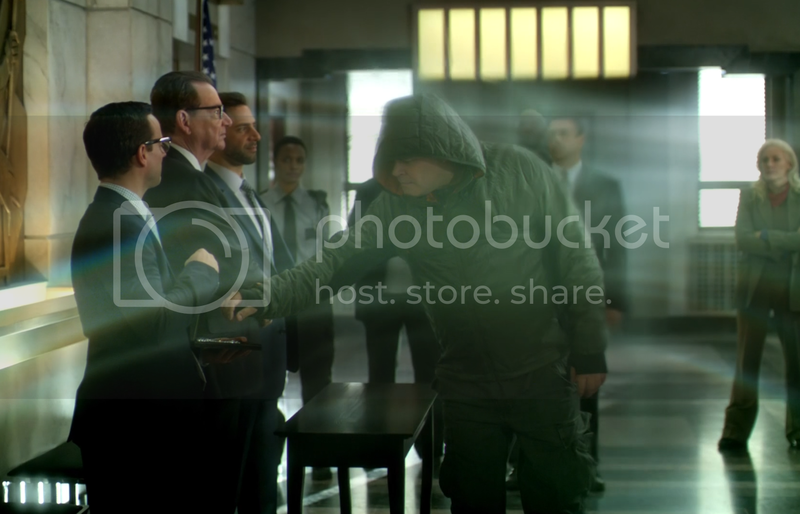 Or maybe Joe comes to his senses one day and goes in and arrests team Flash for unlawful imprisonment or something. He is a cop after all.